Using Clever Commute data from last Memorial Day, here’s what travelers could face if they’re leaving the city this holiday weekend. Memorial Day is the unofficial start to summer, but nothing can derail the weekend’s celebratory mood quite like getting stuck in traffic or a mass delay on mass transit as many New Yorkers flee the city in droves. But thanks to Clever Commute, a mobile app that combines crowdsourced user info with real-time data from New Jersey Transit, Metro North, Long Island Rail Road and other buses, ferries and light rail, New Yorkers have some insider info on the best times to get out of the city on public transportation this Memorial Day weekend. If you can hit the rails before 1 p.m. on Friday, you should be good, according to Clever Commute data from last year, but after that, you’ll likely be contending with countless other commuters as app users reported crowds and standing-room-only service. By 3:45 p.m. last Memorial Day, those heading to all points east on the LIRR faced mass delays due to high passenger volume, and those traveling on Metro-North saw delays of their own, as well as the cancellation of a 6:07 p.m. train from Grand Central Terminal. Bus commuters last year saw long lines at the Port Authority starting at 12:30 p.m., while an influx of complaints about long lines and big crowds started rolling in on Clever Commute by 2:30 p.m. While Clever Commute’s data from last Memorial Day can guesstimate some of what New Yorkers might face this weekend, the app does share its suggestions, dubbed the “Five Ts,” for making traveling on the holiday as stress-free as possible. Do not under any circumstances wait until Friday to buy your tickets. Lines at booths and kiosks can be extremely long on getaway days like Friday, so it may be worth the inconvenience of popping into the station well before you travel — or simply using the ticket apps for Metro-North, LIRR, NJ Transit or NY Waterway. 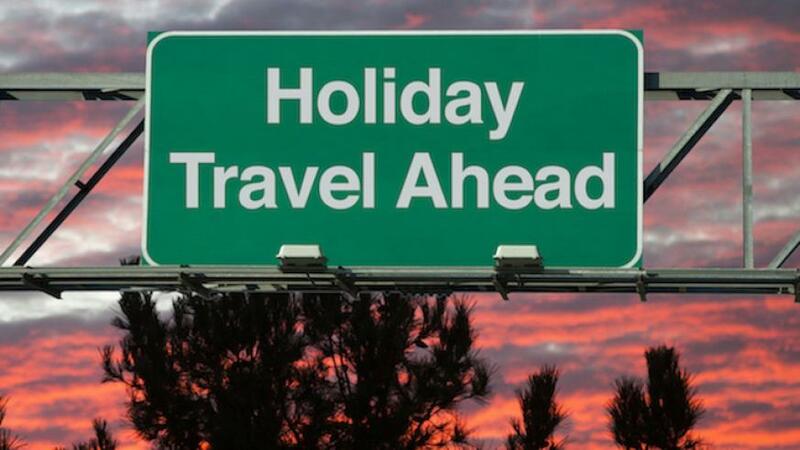 Use last year’s Memorial Day data as a guide, but be sure to include some wiggle room just in case there’s overcrowding, delays, traffic and all the fun stuff usually associated with any holiday travel. Many of the transit agencies that serve New York City will add extra service to offset expected surges in travelers, so be sure to check out their timetables and trip-planning sections for the most current info. Choose your departure point wisely, and “if it is at all within your control, avoid New York Penn Station,” Clever Commute suggested. If you’re taking NJ Transit, you might want to think about leaving from Hoboken or Newark Penn Station. LIRR passengers, consider Atlantic Terminal or Hunterspoint Avenue for eastbound access.